For those of you who aren’t familiar with Andy Frisella already, he’s a well known entrepreneur within the supplement and fitness industry. Andy went to sleeping in the back of his store, only earning a few bucks every day, to selling $100 million dollars worth of product every year. 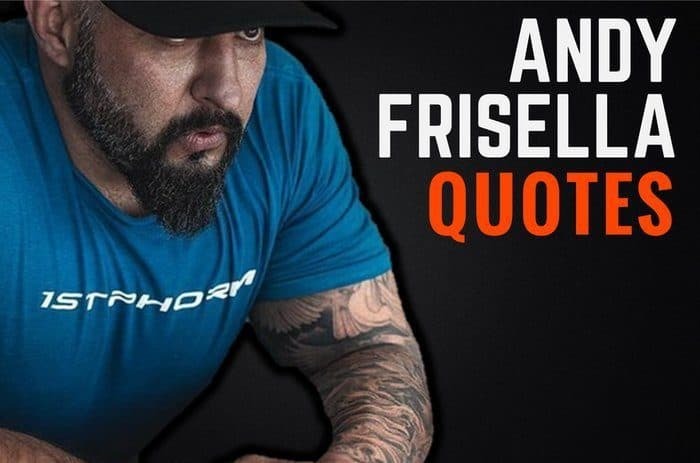 Thanks for viewing this collection of motivational Andy Frisella quotes! Don’t forget to share them on social media. Which are your favorite Andy Frisella quotes? Leave a comment below.